What's in a name? For many of us, it quickly becomes an extension of us, almost an adjective for the way that we behave and act on a daily basis. 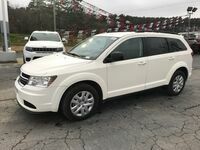 For the Dodge Journey, its name is a self-fulfilling prophecy, as the sense of adventure that you'll receive is largely unrivaled in the rest of the SUV market. Whether your version of a "journey" is a trip to work on the highway or heading for the open trails on a weekend away with your friends, Dodge's flagship SUV can accommodate every need. If you're looking to join the movement, you can do so right here in Clinton AR! 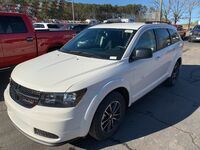 The 2018 Dodge Journey is currently available at Cowboy CDJR, and it brings with it some of the most versatile and innovative performance in the industry. Our team has put some research together on the model, so come on in with us today and check out what the Journey can offer on your journeys! 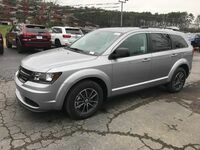 It's clear that the 2018 Dodge Journey has everything you need to make every trip memorable. Contact our Cowboy CDJR sales team today to schedule a test drive or ask any questions you might have about the model and its features. We're always happy to tell you what we know, and how we can get you inside a vehicle that you'll love. 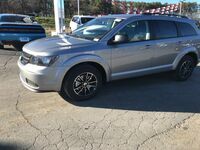 Interested in a Dodge Journey?